So, how do you determine if a country is landlocked? 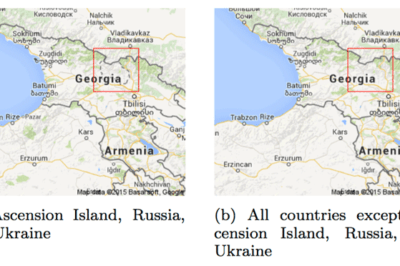 The easiest way to tell if a country is landlocked is to take a look at a map of the country and the surrounding geography. 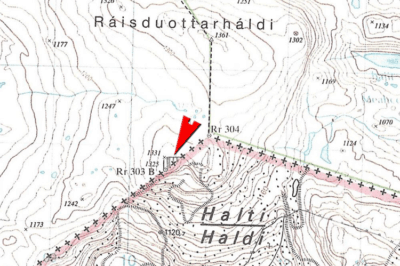 The topo map with the proposed boundary change that Harsson sent to the Norwegian government. Source: Halti som jubileumsgave Facebook page. A retired Norwegian mapmaker has proposed that Norway shift its border 660 feet (200 meters) in order to gift the mountain of Halti to Finland in honor of its 100th anniversary independence. Which Continent Lies in All Four Hemispheres? 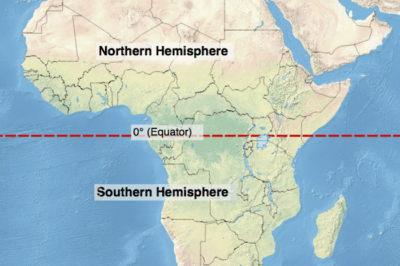 While several of the world’s continents are traversed by the separation between two hemispheres, there is only one continent in the world that lies in all four hemispheres: Africa. Map of the United Kingdom showing the voting areas for the European Union membership referendum, 2016. Map authors: Mirrorme22, Nilfanion, TUBS, and Sting, Wikipedia. A.J. Rohn takes a look at the geographical factors behind the recent vote in the United Kingdom in favor of leaving the European Union in its controversial Brexit referendum. 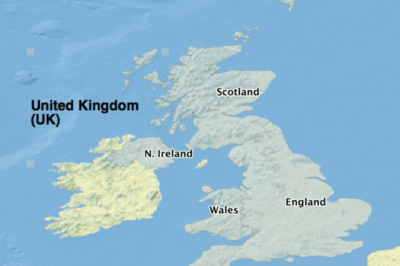 This article outlines the differences between the United Kingdom (also known as the UK), Great Britain, and the British Isles. 1880 popular vote by county. From Scribner’s Statistical Atlas, 1883. 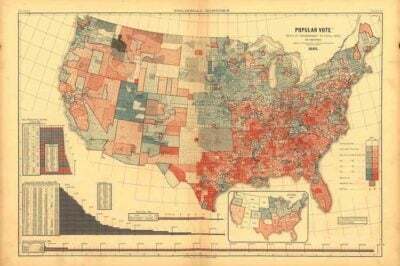 Historian Susan Schulten has traced the practice of dividing elections of the country by color to 1883, when a map was first produced showing the United States’ affiliations with their preferred political party. 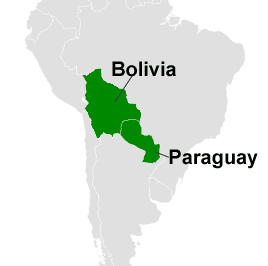 Learn about which countries in South America are landlocked. Political map of Transnistria with the differences between the Autonomous Dniestrian Territory de jure and the Pridnestrovian Moldavian Republic de facto. Map: Spiridon Ion Cepleanu, Wikimedia Commons. Ghost states are states that function just like any other nation, but for various political reasons go unrecognized by the rest of the international community. Gerrymandering is the practice of drawing or re-drawing congressional boundaries to benefit a specific political candidate or party. The Washington Post recently took a look at how gerrymandering has affected politics in the United States. HMS Dragon Near Gibraltar. Photo: Dave Jenkins, Ministry of Defense, United Kingdom. 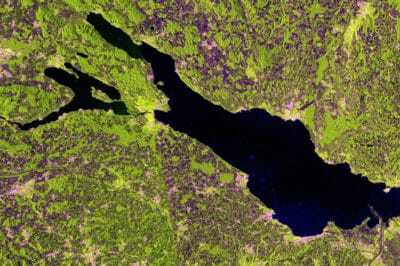 This satellite image of Lake Constance was acquired on May 10, 2014 in ‘interferometric wide swath mode’ and in dual polarization. The radar instrument gathers information in either horizontal or vertical radar pulses, and colors were assigned to the different types. In this image, buildings generally appear pink, while vegetation is green. Areas with lowest reflectivity in all polarisations appear very dark, like the water. Source: ESA. 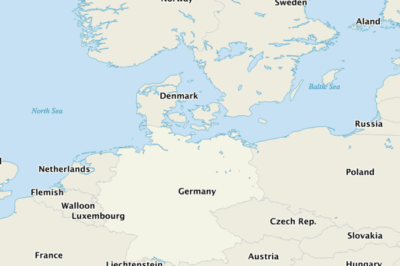 Where is the Only Area in Europe Where no Borders Exist? Lake Constance’s shoreline touches three different countries: Germany to the north, Switzerland to the south and Austria at its eastern end. The water body itself contains no borders since there is no legally binding agreement between the three countries.